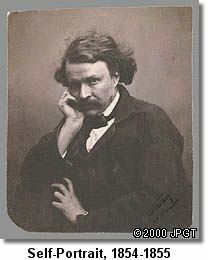 Biography: pseudonym of GASPARD-FÉLIX TOURNACHON, French writer, caricaturist, and photographer who is remembered primarily for his photographic portraits, which are considered to be among the best done in the 19th century. As a young man, he studied medicine in Lyon, Fr., but, when his father's publishing house went bankrupt in 1838, he was forced to earn his own livelihood. He began to write newspaper articles that he signed "Nadar." In 1842 Nadar settled in Paris and began to sell caricatures to humour magazines. By 1853, although he still considered himself primarily a caricaturist, he had become an expert photographer and had opened a portrait studio. Nadar's immediate success stemmed partly from his sense of showmanship. He had the entire building that housed his studio painted red and his name printed in gigantic letters across a 50-foot (15-metre) expanse of wall. The building became a local landmark and a favourite meeting place of the intelligentsia of Paris. When, in 1874, the painters later known as Impressionists needed a place to hold their first exhibit, Nadar lent them his gallery. He was greatly pleased by the storm the exhibit raised; the notoriety was good for business. In 1854 he completed his first "PanthéonNadar," a set of two gigantic lithographs portraying caricatures of prominent Parisians. When he began work on the second "Panthéon-Nadar," he made photographic portraits of the persons he intended to caricature. His portraits of the illustrator Gustave Doré (c. 1855) and the poet Charles Baudelaire (1855) are direct and naturally posed, in contrast to the stiff formality of most contemporaneous portraits. Other remarkable character studies are those of the writer Théophile Gautier (c. 1855) and the painter Eugène Delacroix (1855). Nadar was a tireless innovator. In 1855 he patented the idea of using aerial photographs in mapmaking and surveying. It was not until 1858, however, that he was able to make a successful aerial photograph, the world's first, from a balloon. This led Daumier to issue a satirical lithograph of Nadar photographing Paris from a balloon. It was titled "Nadar Raising Photography to the Height of Art." Nadar remained a passionate aeronaut until he and his wife and other passengers were injured in an accident in Le Géant, a gigantic balloon he had built. Excellent Site with several links to Nadar's Work on the Internet.